According to studies people looks on the appearance before the performance. You can judge this distinguished scooter on both end. Looks and performance are both its characteristics. 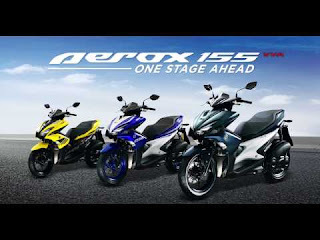 Although I'm aware that you are here for the Yamaha Aerox 155 Manual. In the Philippines where the the balance between the supply and demand had enormously as wide as the universe. Where a buyer who wants to own an Aerox would need to queue for its availability. Upon the arrival of your scooter you were excited to drive and test it. Unfortunately it has come to your senses that its 155cc engine are too way fast for you to handle. You crash and since its just new you wanted to erase all those bad memories and just start from the beginning of waiting and getting your Aerox in the first place. But hurray! There are parts that you can buy and replace those scratches. For ease of reference, I have below the link for the Body Catalogue of Yamaha Aerox 155. When you go to the service center you are well prepared and perhaps you can just call them and let them know the part number. You save time and save gas at all. Happy Aeroxing!